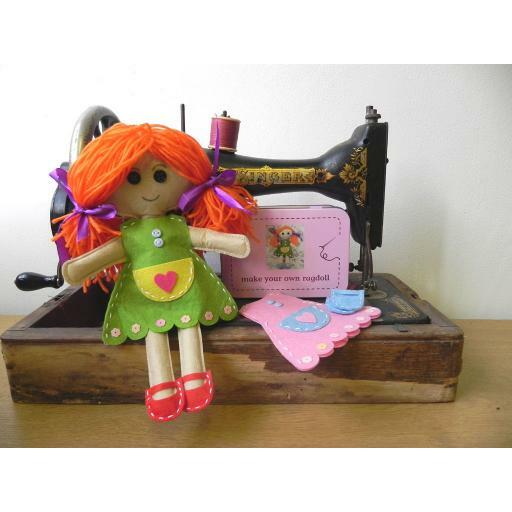 A fun gift set in a tin containing a kit with everything you need to create your own rag doll. The kit includes a pre-sewn doll body, felt buttons, sequins, wool, ribbons, pen, glue and instructions. She has two party dresses and pairs of shoes. Fun! Not recommended for children under three years.